One of the things I now do at shows is ask dealers to show me anything new or interesting, which I take pictures of for our news posts. 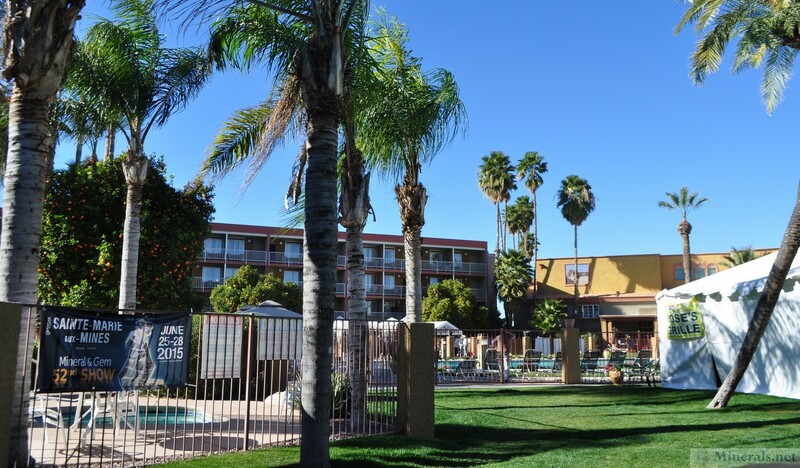 I did this at the InnSuites, and came back with some very interesting results. 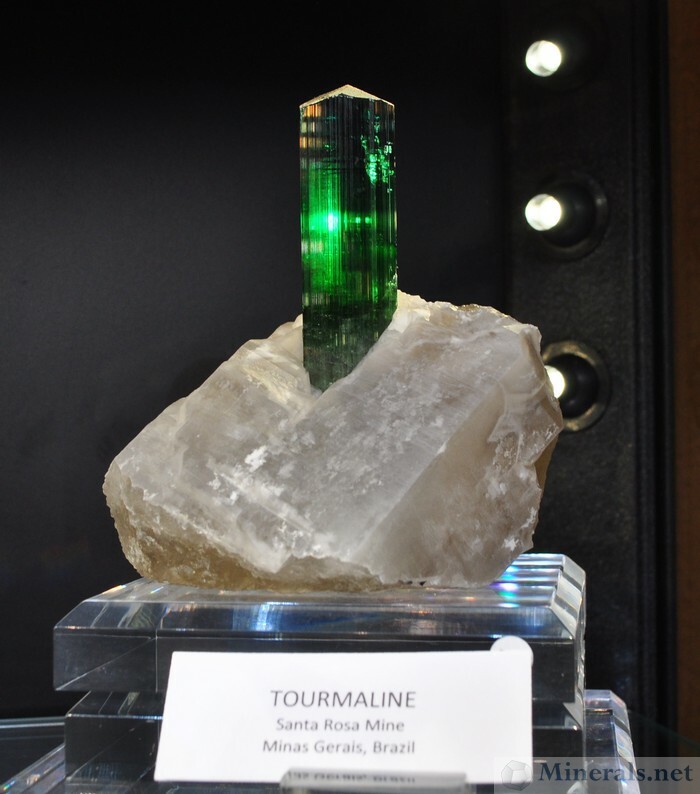 Amazing Tourmaline in Quartz from the Santa Rosa Mine in Brazil. 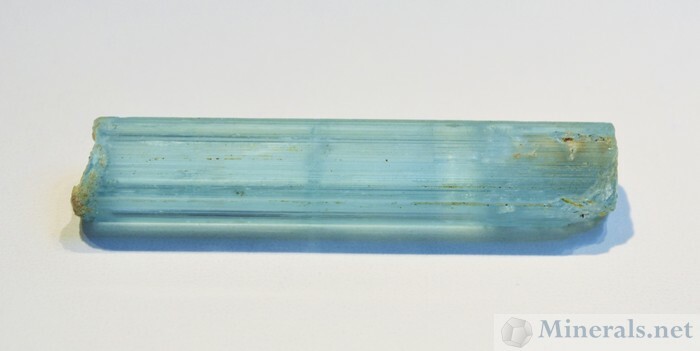 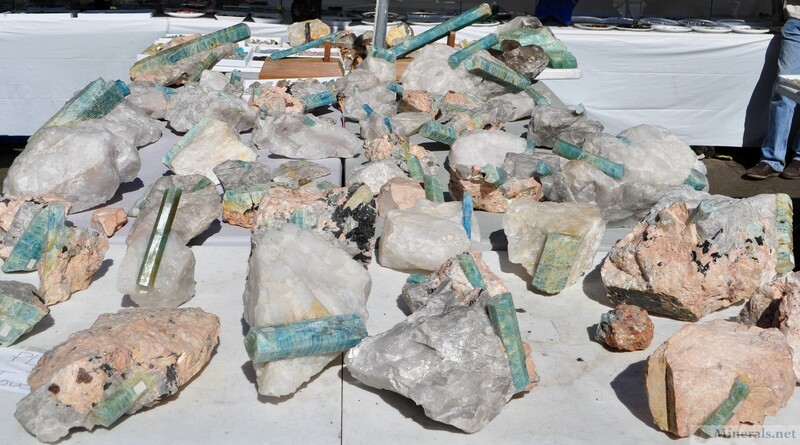 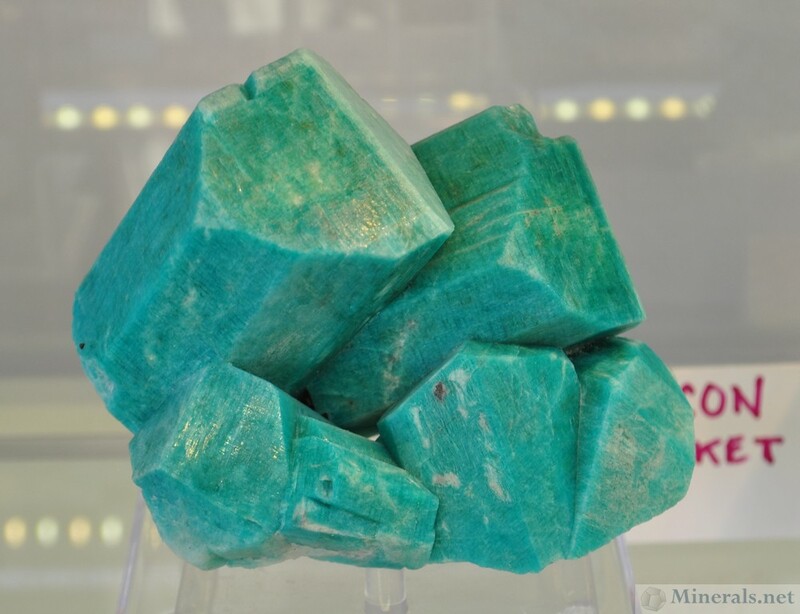 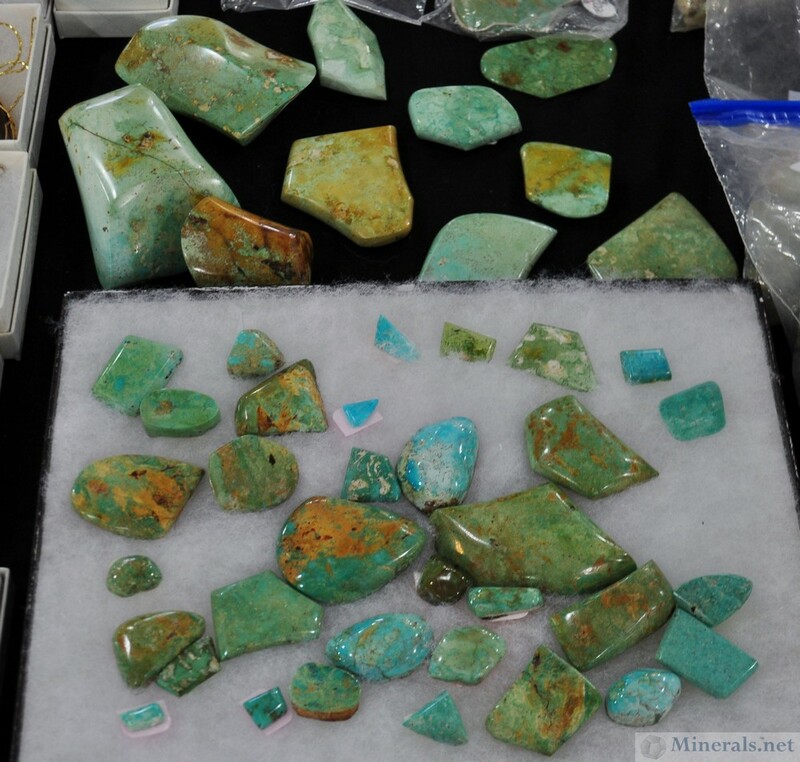 This gemmy blue/green crystal was mined in 2014. 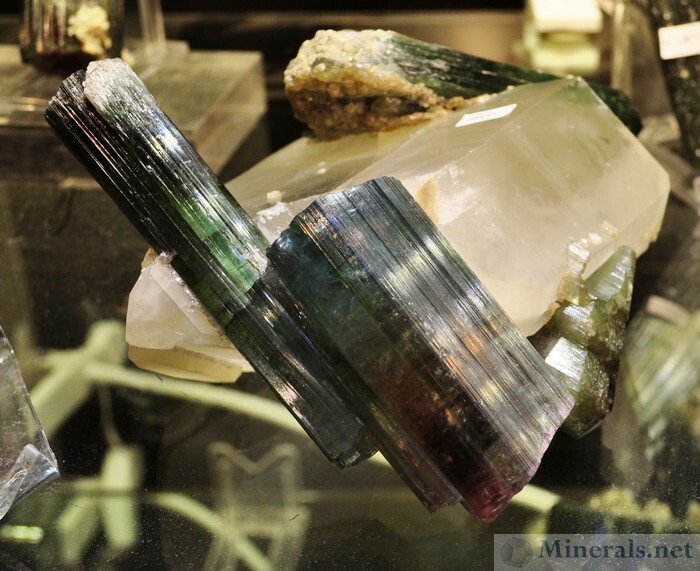 Another great Tourmaline in Quartz recently mined from the Santa Rosa Mine, Brazil. 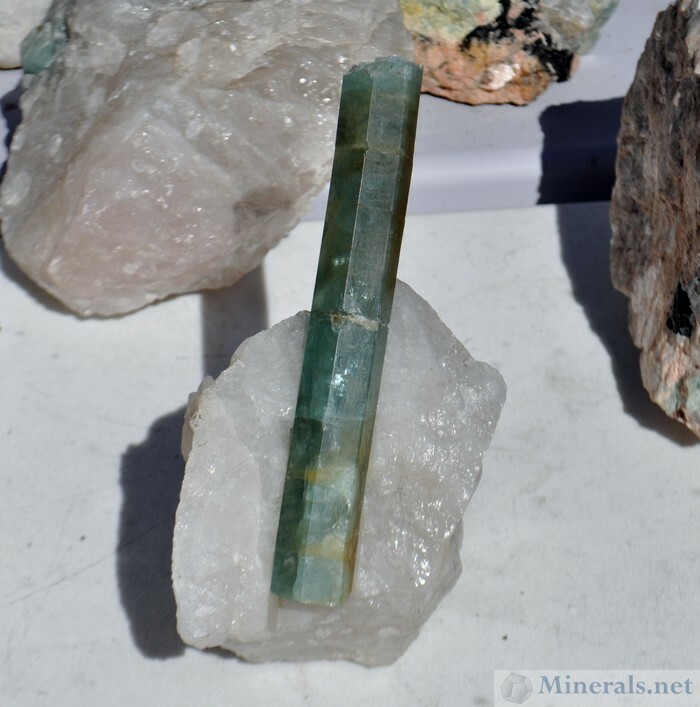 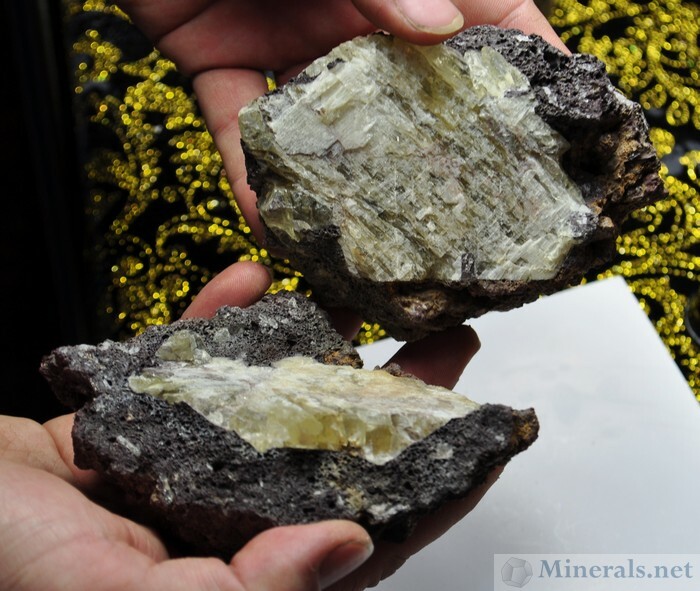 Has a deep, emerald-green crystal perfectly jutting out of the Quartz matrix. 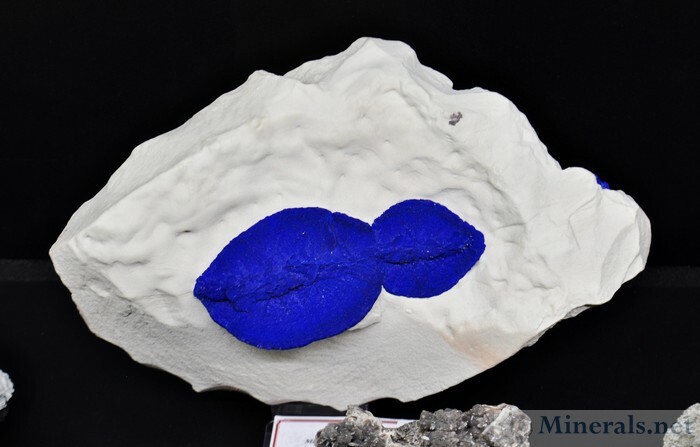 Two deep blue Azurite sun formations on Kaolinite in the shape of lips. 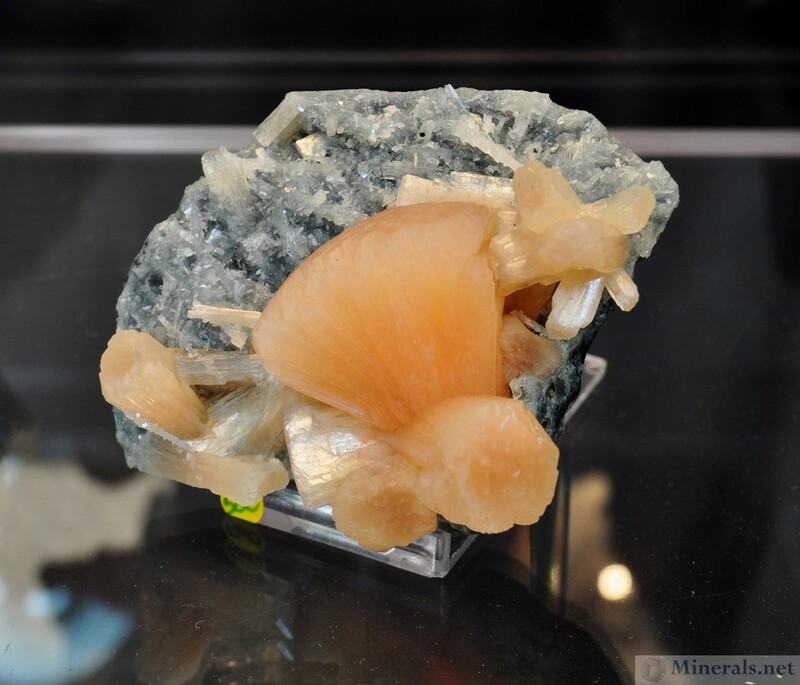 and non-pseudomorphed Calcite. 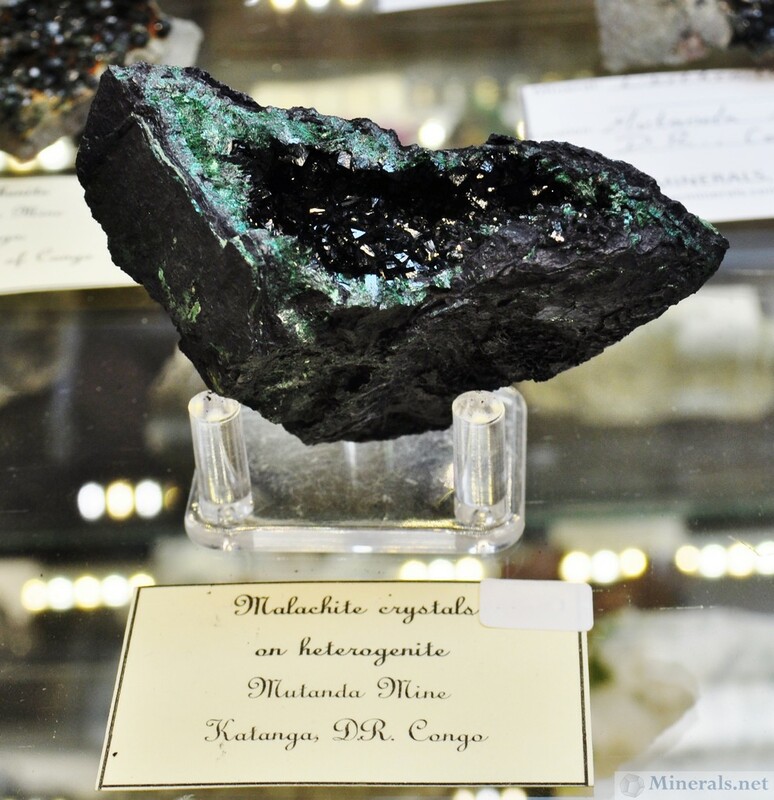 An oddity from Artigas, Uruguay. A superb Pyrrhotite with an amazing 3D Texture from from the Trepca Mine, Kosovo. 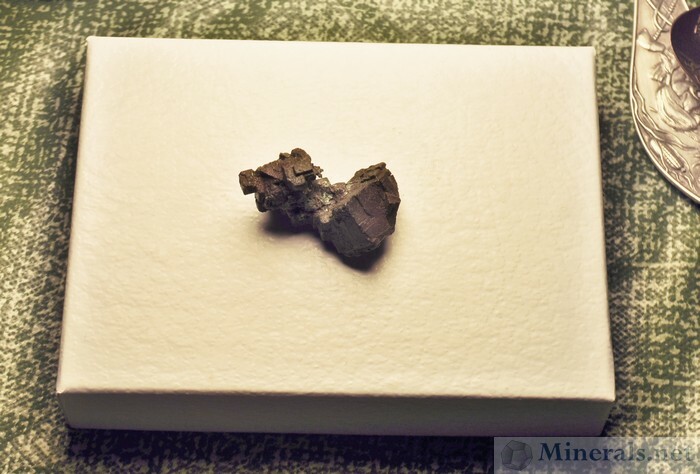 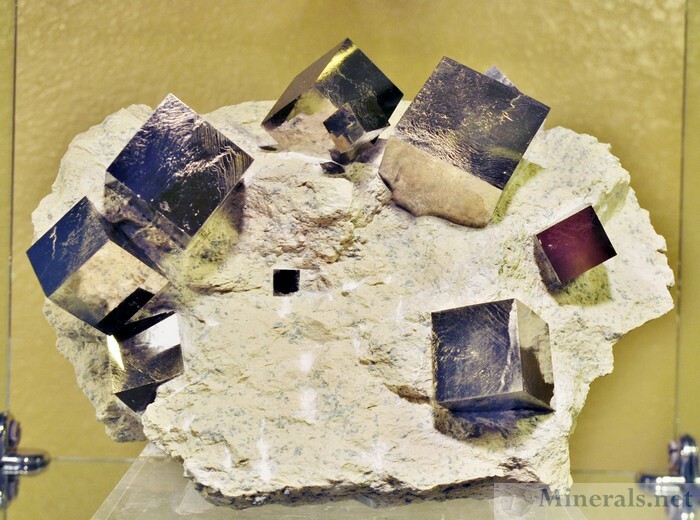 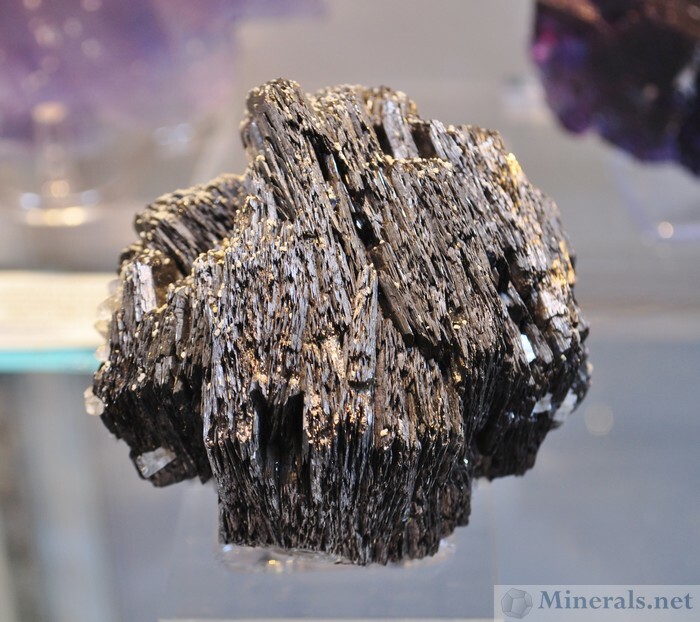 Silver in well-formed cubic crystals like this is extremely rare. This is one of the best crystals of the find. 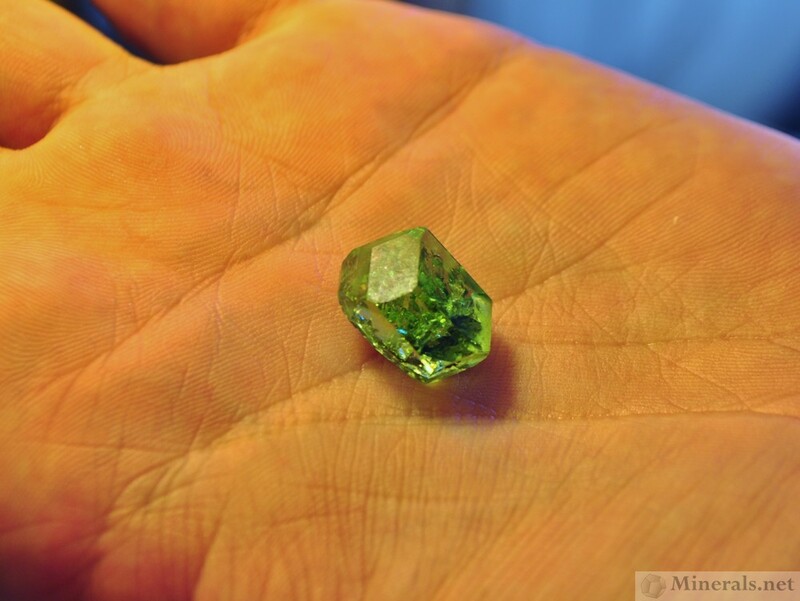 A beautiful dodecahedral Tsavorite crystal from the same find. 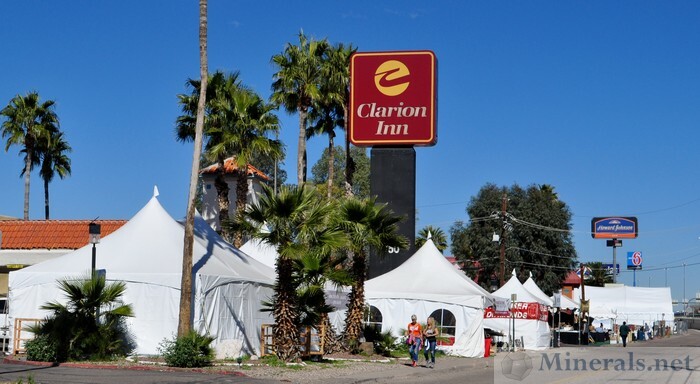 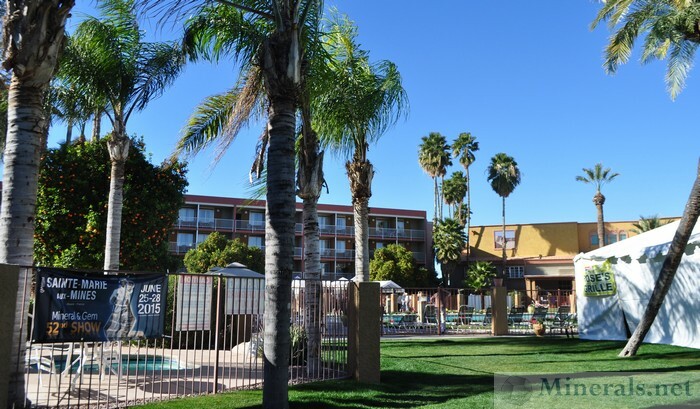 The strip on the western side of the I-10 Freeway - from the Days Inn at Congress Street to the Clarion Inn at Starr Pass Road - is lined with hotels and tents with hundreds of dealers. There are minerals, gemstones, and jewelery being sold out of almost every hotel room and nook and cranny. 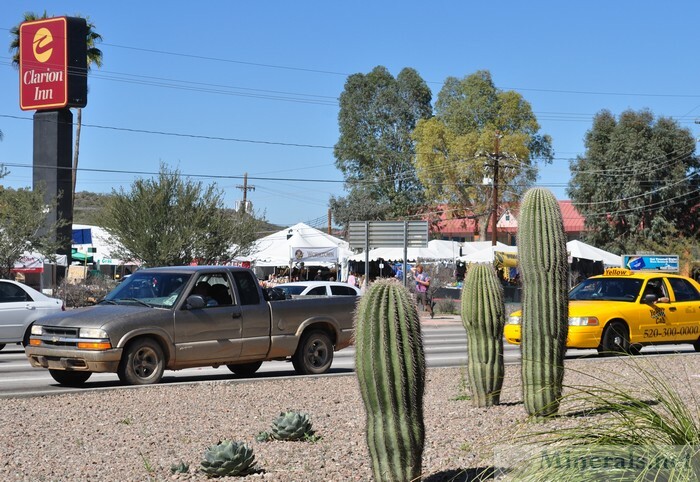 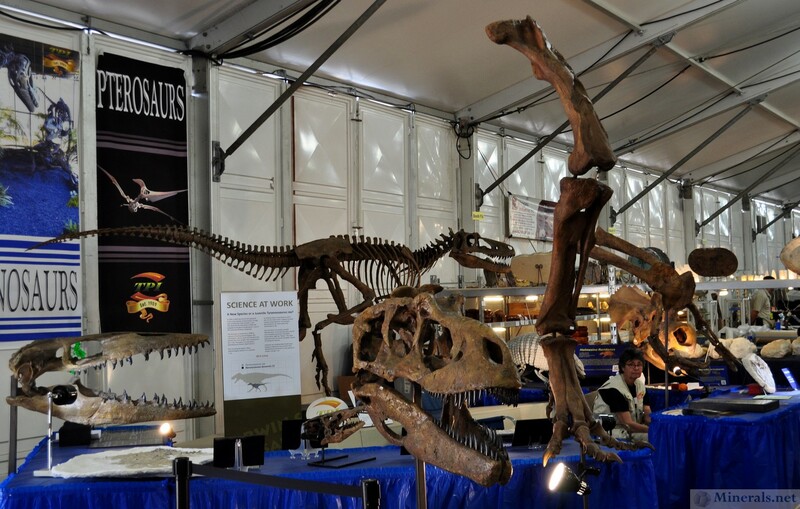 It is fascinating to observe this scene, and a must for all Tucson show visitors to go and see. 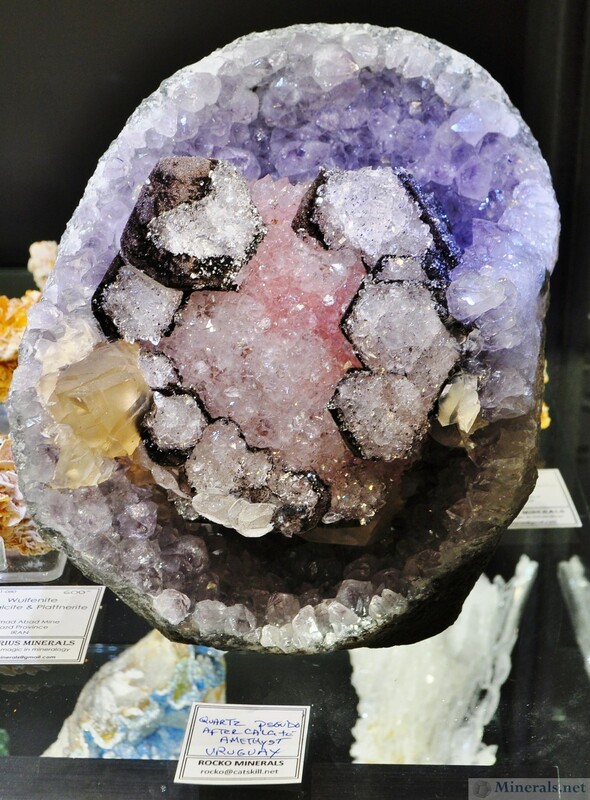 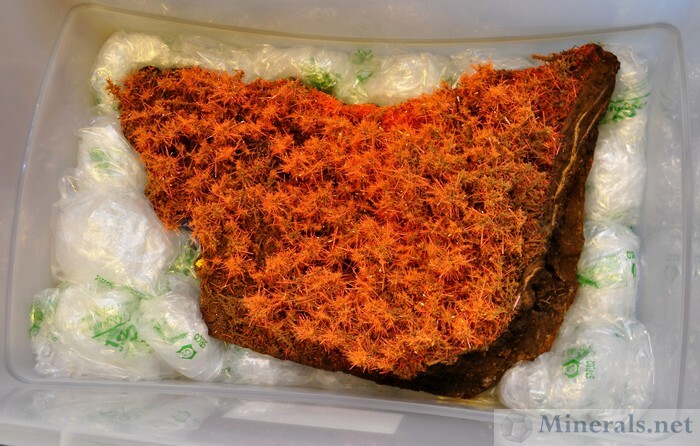 The enormous Brazilian crystals are especially fascinating. 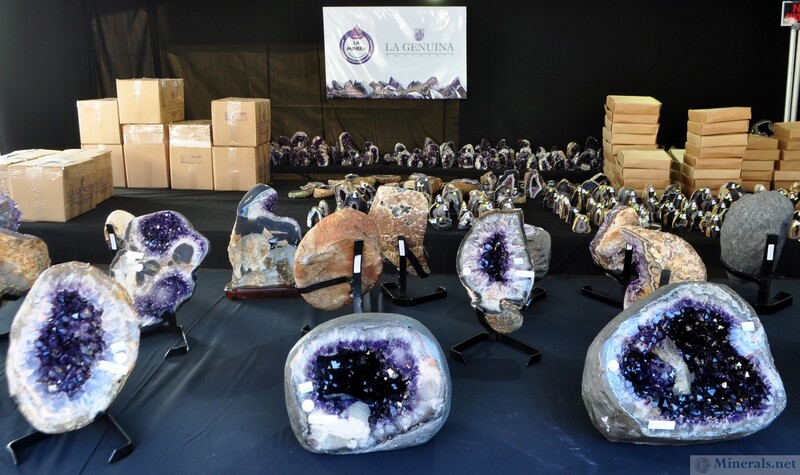 Large South American Amethyst Geodes in a tent at the Clarion Inn. Ted Smith of the Ace of Diamonds Herkimer Mine. 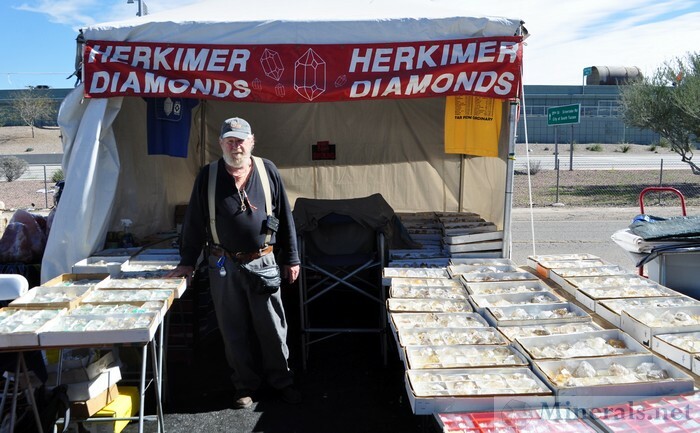 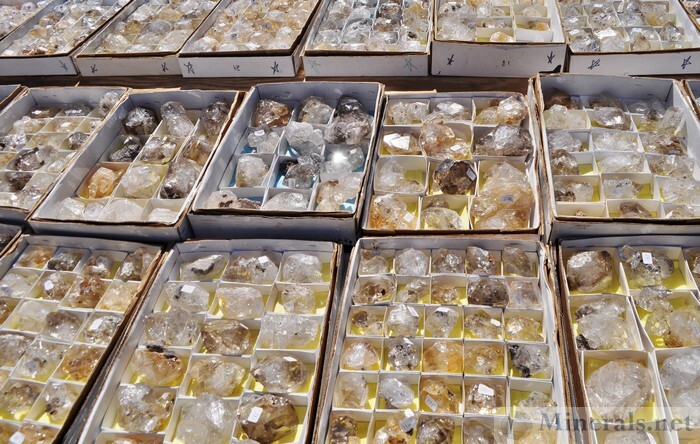 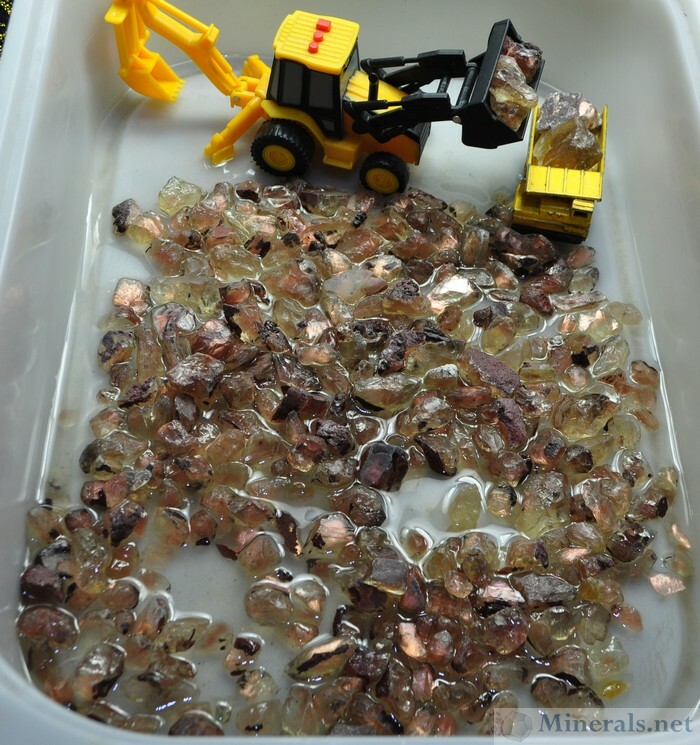 Ted Drives Down every Year from NY to sell some of his amazing Herkimer Diamonds. Boxes of Large Herkimers in the Sunlight. These are all half price. Huge Quartz Crystals in front one of the tents of the Brazilian Dealers. 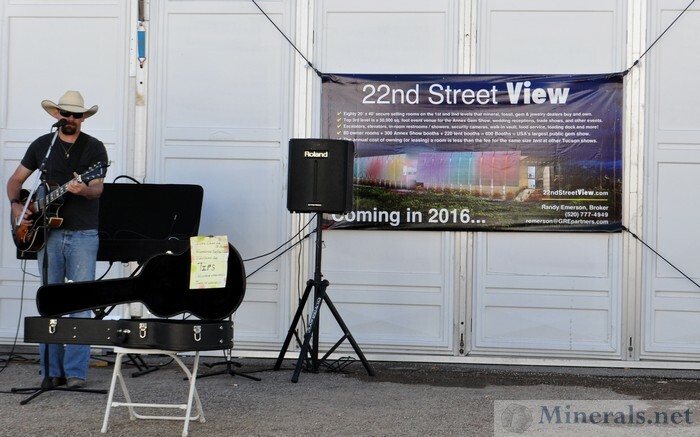 The first show I visited in Tucson was the 22nd Street show. This is a relatively new show, set up in a giant tent on the east side of Interstate 10. 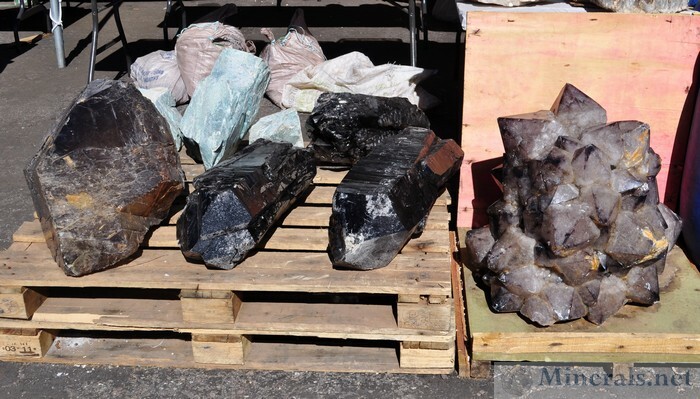 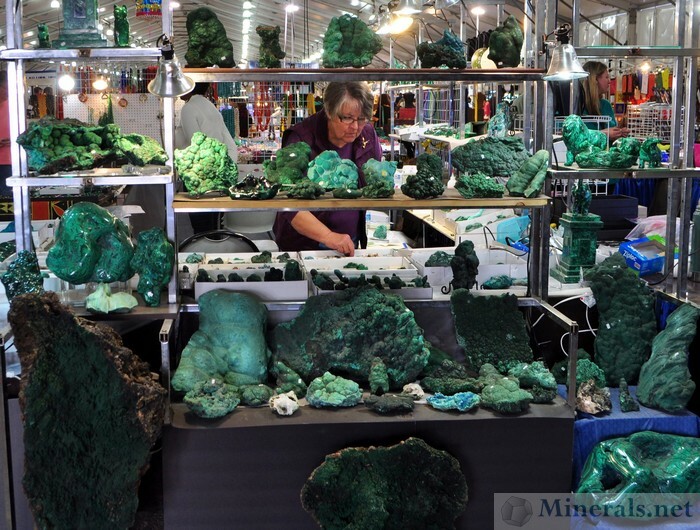 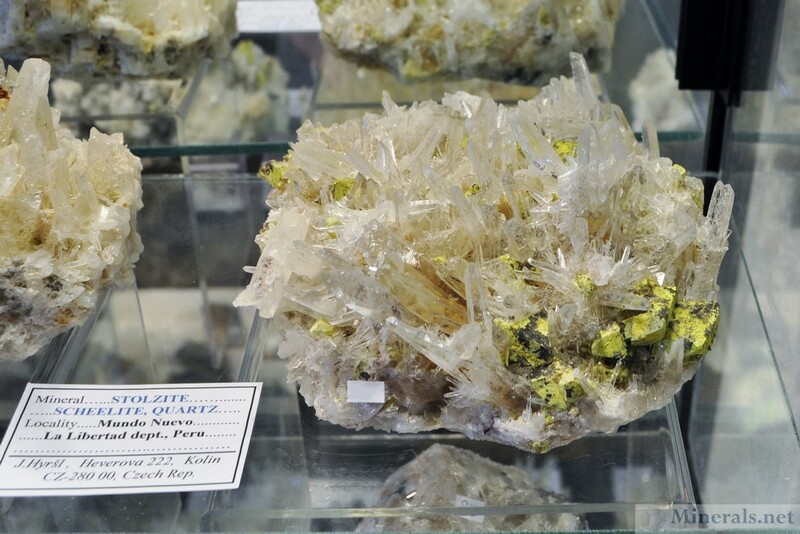 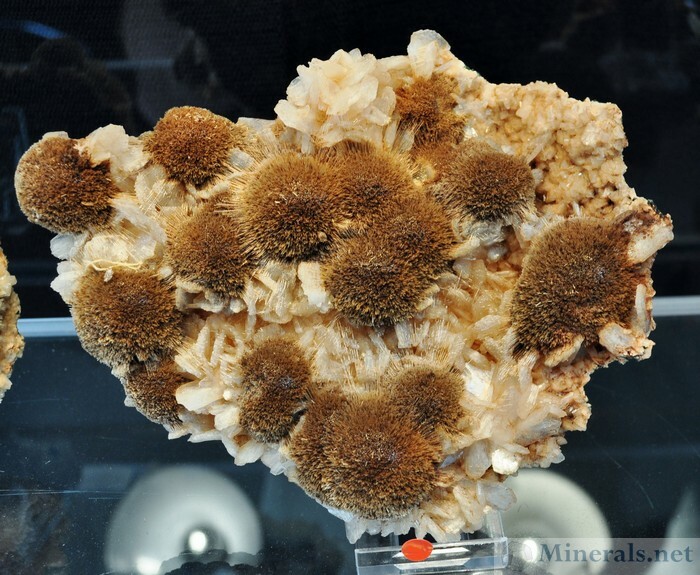 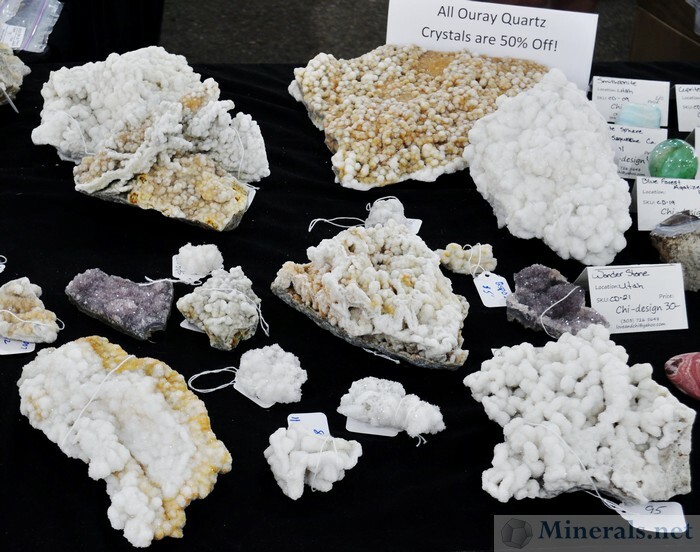 While this show has mostly jewelry and bead dealers, there are several interesting mineral dealers present. 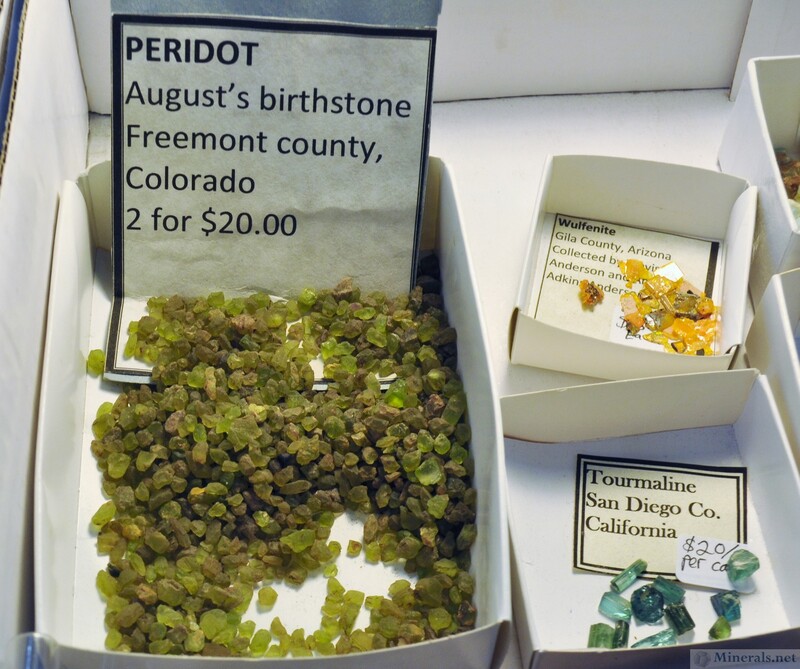 The show also has the show actors of the Prospector's TV series who bring some of their recent Colorado finds. At this show, I also met show organizer Lowell Carhart to discuss details on the upcoming NY/NJ Show, as well as his new venture called the 22nd Street View. The View will be a new permanent fixture in Tucson for dealers to be able to have a year-round Tucson presence. 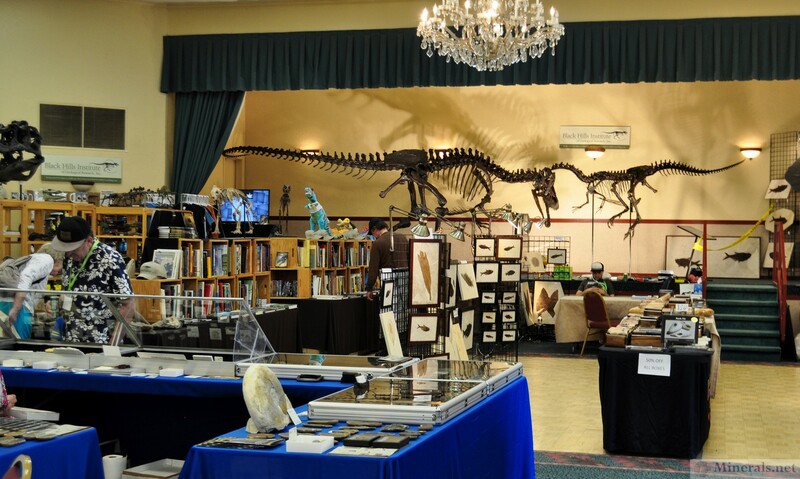 One of the nice perks of the 22nd Street show is the free parking. 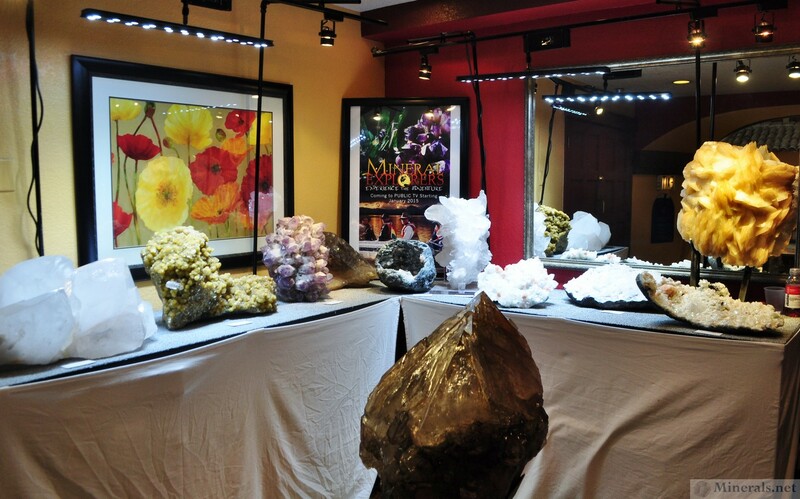 After visiting this show you can just walk across the freeway underpass to the other shows on the I-10 Corridor. Large tent of the 22nd Street Show. 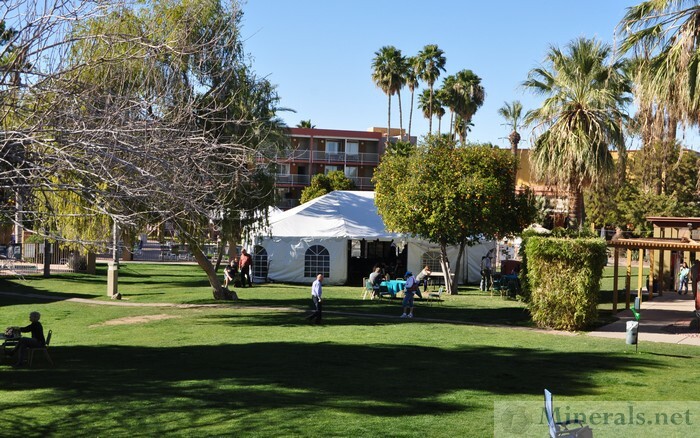 Note the deep blue sky, indicative of the great weather. 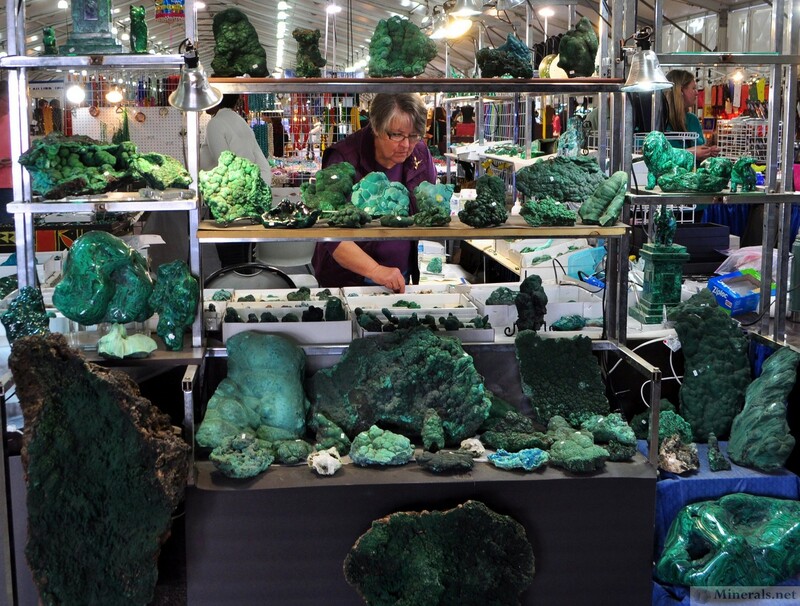 Beautiful African Malachite, with some very large pieces! 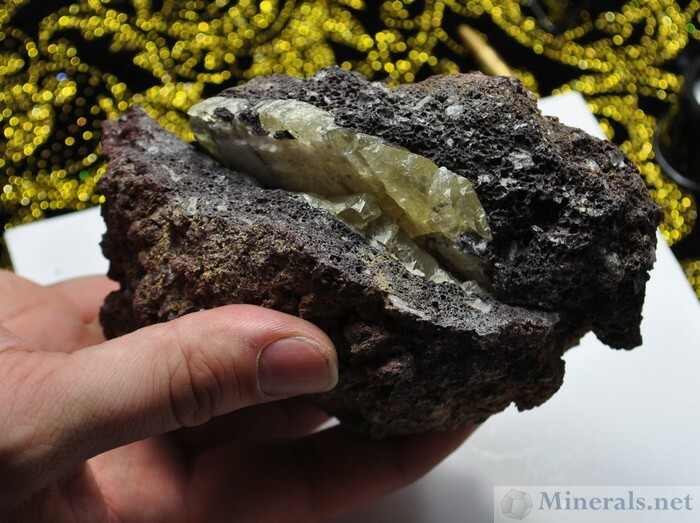 New find of white botryoidal Quartz from Ouray, CO.
Dwayne Hall of the Prospectors TV Series wearing a Minerals.net cap. 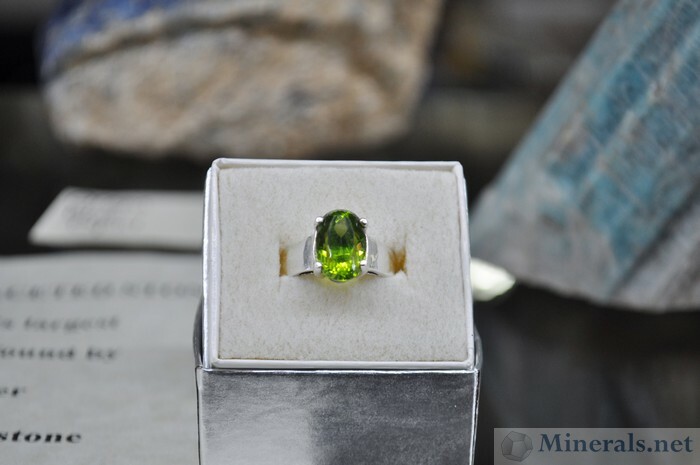 Peridot gemstone from Freemont County, Colorado. 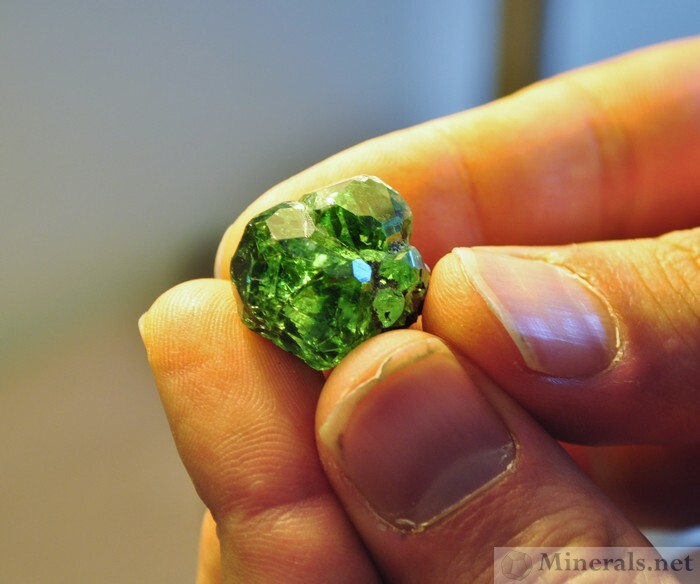 This stone holds the record for Colorado's largest faceted Peridot at 4.81 cts. 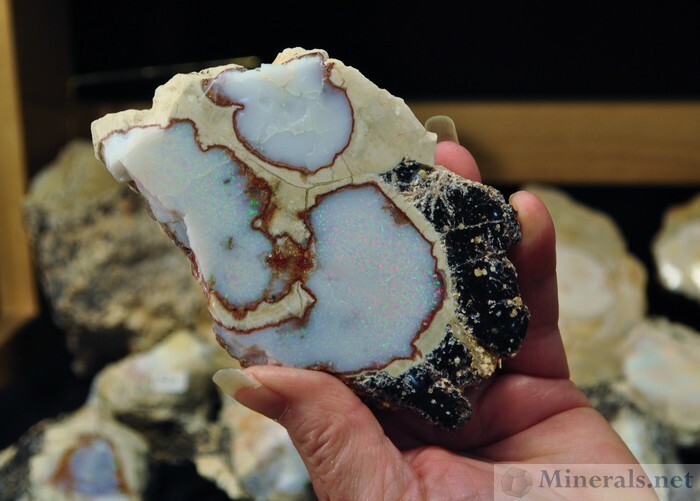 Found by Travis Anderson (Prospectors) and cut by Carl Holzer. 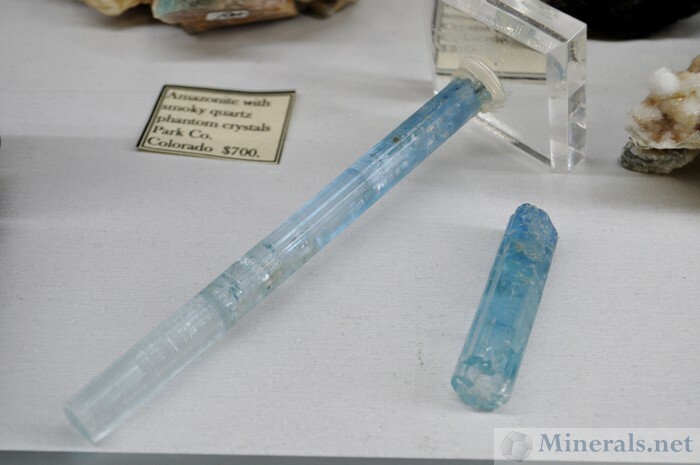 Incredible Aquamarine from Mt. Antero, Colorado, collected in 2012. 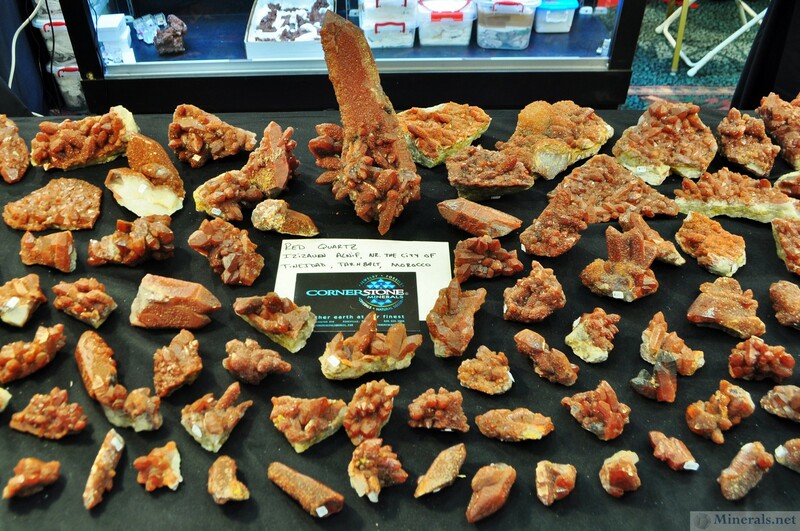 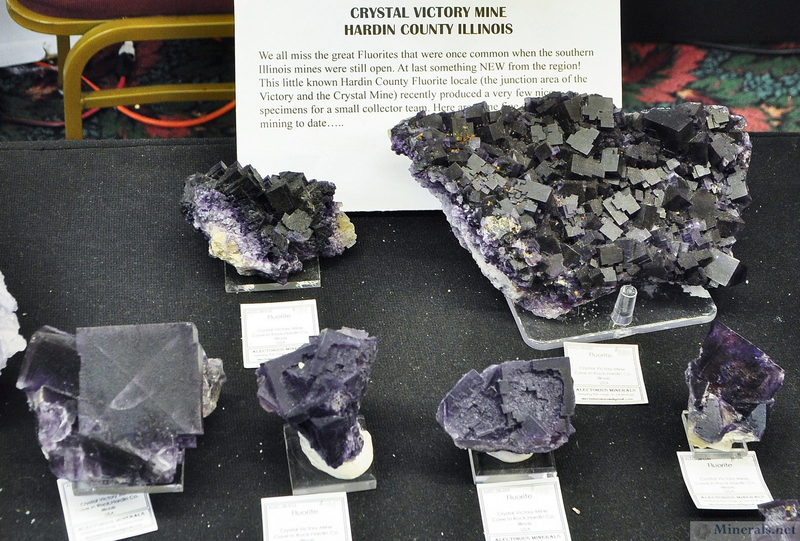 Collected by Ron Griese; displayed at the booth of Travis Anderson of the Prospectors. 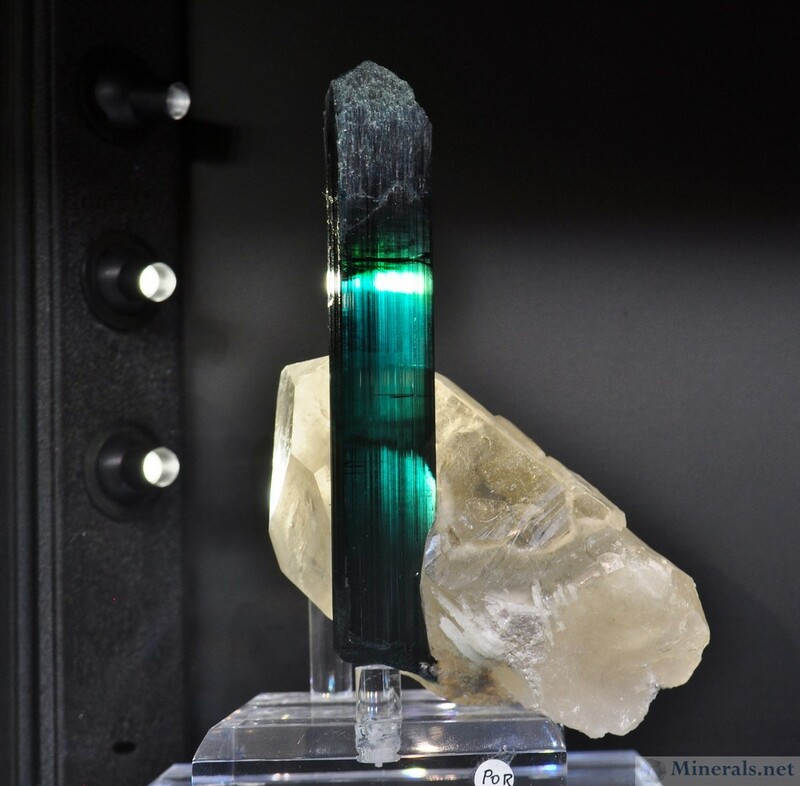 The larger stone is 5 3/8 inches! 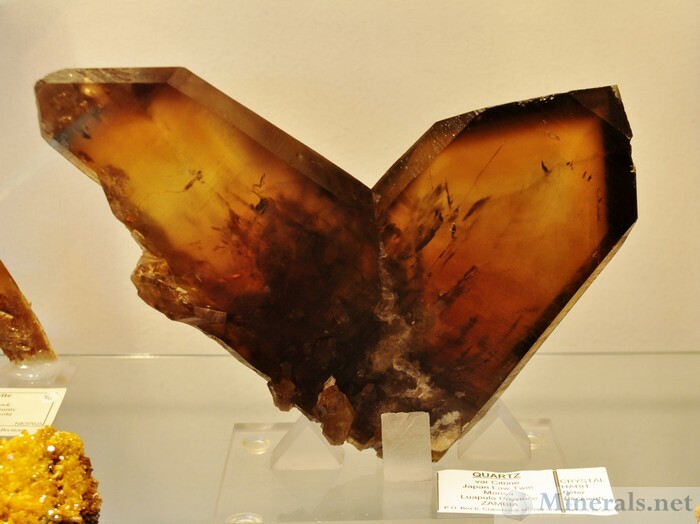 The above Sunstone sliced in two showing the structure and texture. 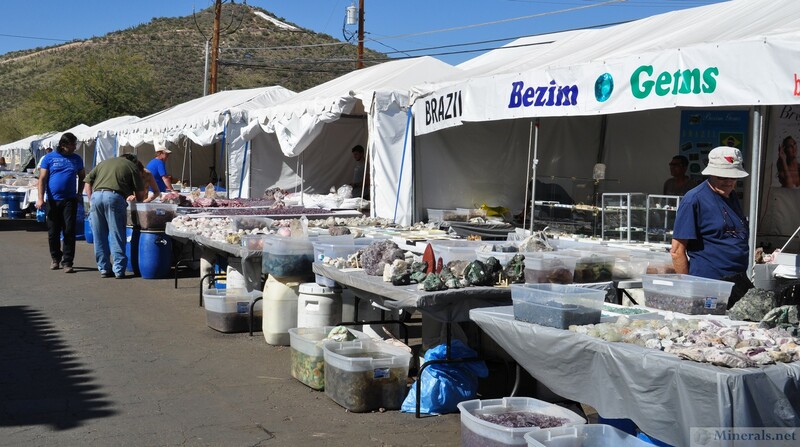 Once again we are proud to share our show reports on all the happenings in Tucson this year. 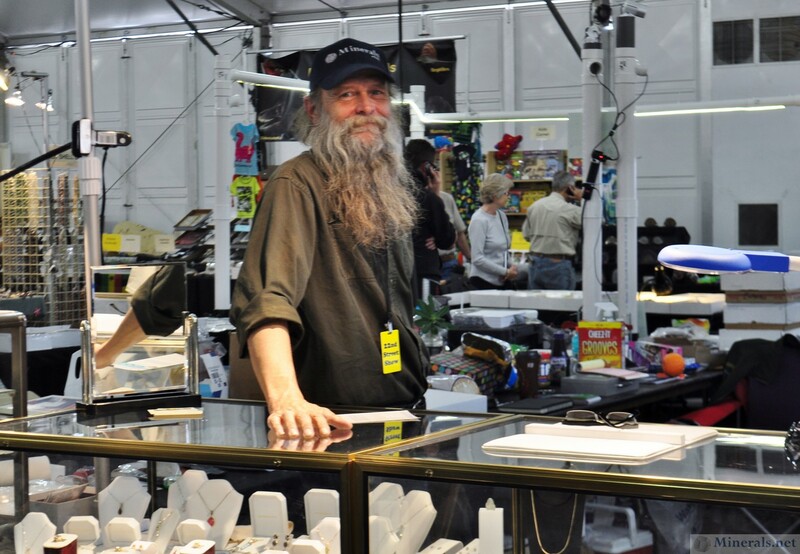 Hershel Friedman visited many of the shows, taking many pictures and meeting with many important personalities. 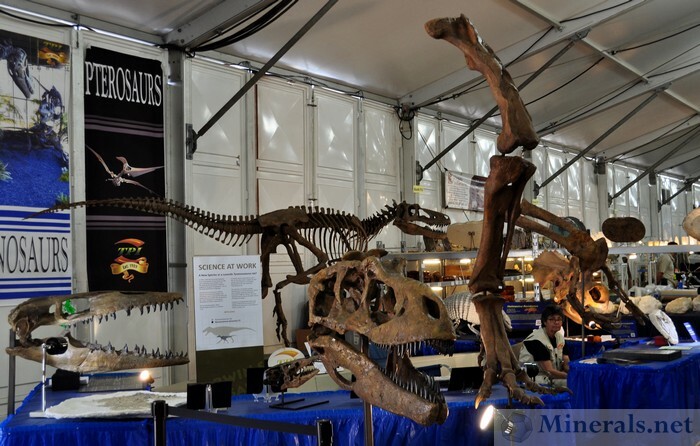 His trip was much shorter this year due to timing constraints, but the coverage is still extensive. He was unable visit the Westward Look Show due to its earlier timing, and the Pueblo show was also missed due to camera issues, which will be described in more detail in a future post.